Most of us have bucket lists of countries we want to visit before we die. But apart from seeking out the usual tourist spots, it’s likely that we have other aims on our travel agendas too. Some might be on a constant hunt for food, others could prefer adrenaline-filled activities, while some really don’t mind where they end up, as long as their destinations are sunny and warm. And this is where website Travelindicator comes in. 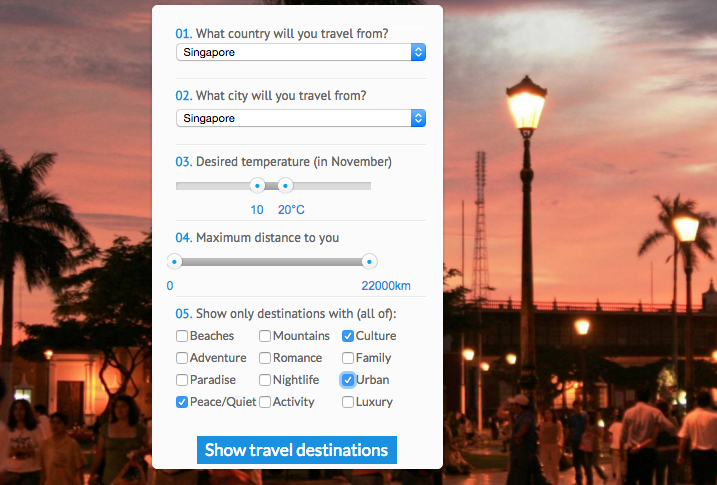 How it works is pretty straightforward: on the homepage, you are asked to fill in a set of criteria you consider important to your travel experience. This includes factors like desired temperature, distance from your home country, as well as what you hope to enjoy during your trip (Mountains? Nightlife? Maybe just some peace and quiet?). Submitting your set of criteria will bring up a list of available cities that fulfil your description. Next to each destination is also a helpful indicator showing the average cost of hotel rooms, as well as the estimated price of plane tickets to the location. Clicking on a particular destination reveals key information about the place, such as weather, language, and major attractions. This helps you decide if the city is suitable for you. 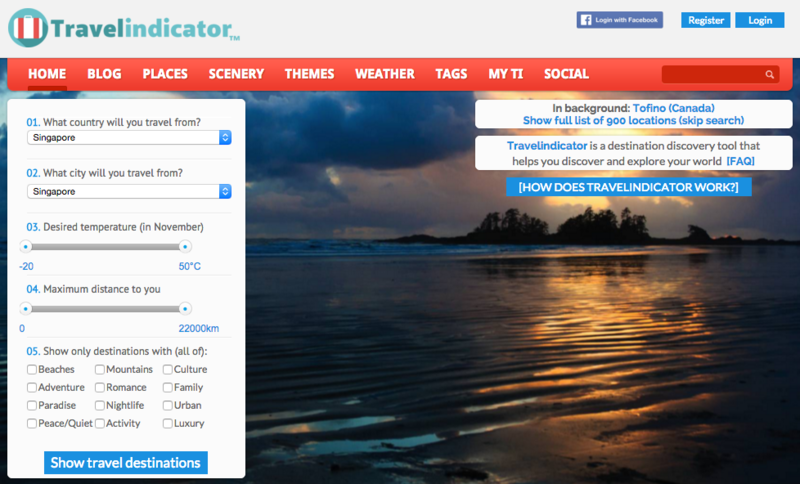 According to Travelindicator’s About page, information about each travel destination is vetted and rated by travellers themselves. This means that visitors who have been to those places are the ones who decide if Bali is considered a Beach destination, for instance, or a Romantic one. 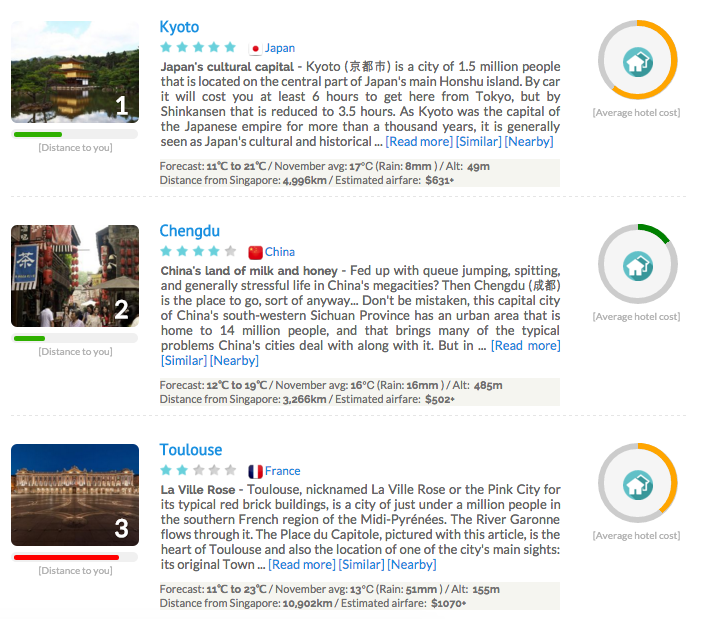 It’s a great feature, and gives the ratings for each travel location a boost of credibility. I decided to test out the site myself. 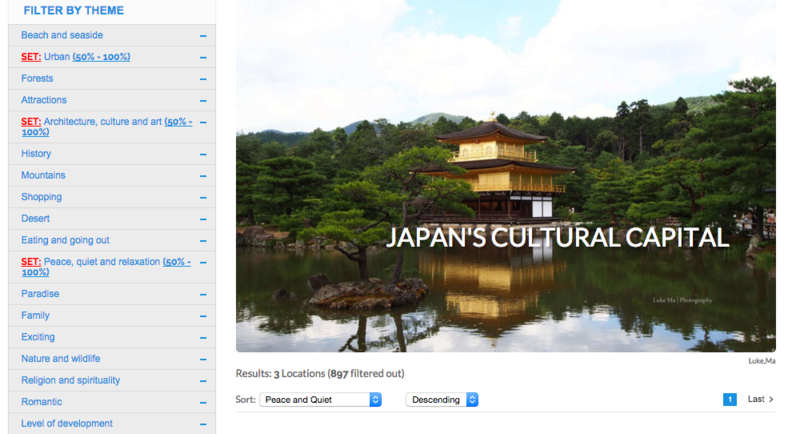 On the homepage, I went for a temperature range of 10-20 degrees and selected “Peace/Quiet”, “Culture” and “Urban” as the three main attributes I wanted on my holiday. I left “Maximum distance to you” unanswered, hoping to get more suggestions. Admittedly, three destinations are not a lot to choose from. But then again, my preferred temperature range was pretty hard to fulfil, considering the month of travel I’d selected (November, when most countries in the Northern hemisphere would be well on their way towards the winter season). I was pretty impressed with how specific the results were, though. Suggesting that I go to Toulouse, France, is a lot better than just telling me I should go to France — it narrows down my focus, and cuts down on a lot of the research I have to do should I decide to actually make a trip there. This might also be useful for people who are intending to make short trips. Set different weightages on the factors that you consider important to your trip. One other thing I noticed was how users get to give their criteria different weightages. So while I might consider Culture, Peace/Quiet and Urban to be important, I can go one step further and rank Urban as the most important of them all. This is great for those who are sticklers for particular aspects of travelling. Want to make sure you don’t bump into anyone you know while on holiday (and have to make small talk as a result)? Set “Remote” to 100% — you’ll be given ideas on where to go so you’ll not see anyone for miles. Overall, I do see the appeal of a site like Travelindicator. It makes deciding where to travel to so much easier, and cuts down on a lot of the noise that comes with other travel recommendation sites. 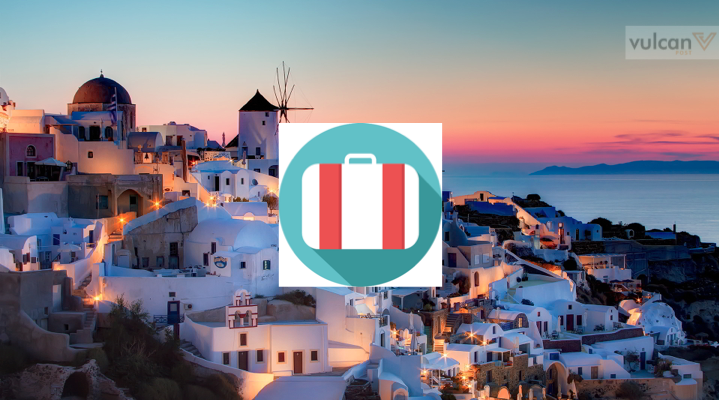 The website seems free of advertisements, too: I’ve yet to come across any travel destination that seem like it might have been written by a tourism board, for example, which does help in the trustworthiness aspect. So if you’re desperately in need of some down time, go on, set that rating on “Paradise” to 100% — you never know what you’ll find.